I entered the health-care profession because it struck me as the ideal application of science in service to people from all walks of life. In order to live up to the duties of my vocation, I’m called to do more than deliver quality, dignified care to kids and families. I’m also responsible for noting — and doing my best to positively influence — the factors that impact my young patients’ overall health. One of those factors is their access to oral health care. That’s why the clinic I lead offers dental as well as medical care to thousands of Seattle-area kids. But we should do more, because timely and routine oral health care is out of reach for too many Washington families. In 38 out of 39 counties, there aren’t enough dental professionals to meet growing needs. I see patients on a regular basis with health-care problems that are a direct result of lack of timely, routine dental care. It’s no surprise, as in a recent year, approximately 385,000 kids insured under Medicaid in Washington did not get a dental visit of any kind. Our children deserve better than that. All Washingtonians — no matter where they are from, what they look like, or where they fall on the socioeconomic spectrum — should be able to get dental care when they need it. This past election, in which Democrats built a stronger majority in the state Legislature, a key issue that drove voters to the polls was access to affordable health care. To fulfill voters’ expectations and to meet the needs of so many underserved residents, it is time for the legislature to authorize dental therapy across the state. Dental therapists are licensed oral-health care professionals who are equipped to perform routine and preventive services, bringing new capacity and flexibility to the dental-care team. They are practicing or are authorized to practice in eight states, and many more are currently exploring authorization. Dental therapists have deep ties to Washington. The first dental therapists were educated in partnership with the University of Washington. In addition, the first long-term study of dental therapists was released by the University of Washington in 2017, showing the providers are improving oral health outcomes in the communities they serve. While dentists can perform hundreds of procedures, dental therapists are experts in routine restorative care and community education, and in this bill would be licensed to perform some 36 procedures. More importantly, dental therapists are already practicing effectively in communities right here in Washington. In 2016, the Swinomish Indian Tribal Community hired a dental therapist to deliver care at its dental clinic. 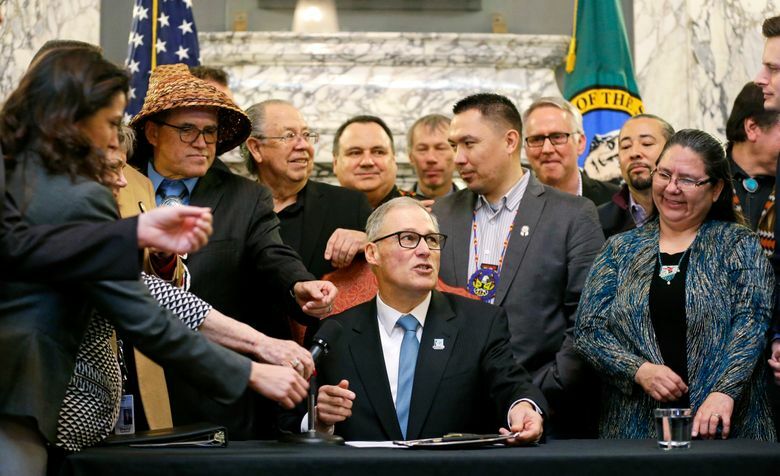 The following year, state lawmakers passed legislation to explicitly allow all Washington tribes to deploy dental therapists, creating a path toward better access to health care on tribal lands throughout the state. Now our state lawmakers should put this common-sense solution to work for all communities. As a doctor, I understand that creating a new dental professional will impact others in the field of oral health. Changing the conditions under which dentists, hygienists, dental assistants and others practice is not an easy transition to make for the industry. But I believe the movement to a team approach, with greater opportunity for patients to experience culturally competent care from practitioners raised and trained here in our state, will be better for Washington’s kids. Dental therapists can add high quality, culturally appropriate capacity to the dental team. Even among dentists, who have feared and resisted the introduction of dental therapists as a threat to their industry, support is growing. I’ve heard from dentists who were once skeptical of dental therapists but today are avid supporters because they realize that this team member complements their work. It is time for all Washingtonians to have access to quality oral health care. The time for dental therapists is now. Benjamin Danielson is a pediatrician with Seattle Children’s and director of the Odessa Brown Children’s Clinic.